Product prices and availability are accurate as of 2019-04-17 21:00:12 UTC and are subject to change. Any price and availability information displayed on http://www.amazon.com/ at the time of purchase will apply to the purchase of this product. 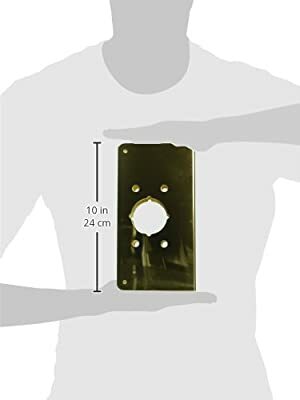 Don-Jo mortise lock wrap around plate for mounting Don-Jo hospital push and pull latches. Polished brass finish. Made of 22 gauge stainless steel material. Measures 4-3/4-inches width by 9-inches height. Limited 1-year warranty.